D-Link’s DGS-3308FG is a high performance managed Layer 3 Gigabit switch that provides an ideal solution for Enterprise Gigabit applications. With (6) 1000BASE-SX Gigabit Ethernet ports and (2) Open GBIC-Based ports, the DGS-3308FG is designed to meet the needs of the most demanding departmental and enterprise connectivity applications. The DGS-3308FG supports full-duplex wire-speed forwarding, 8K MAC addresses, 2K IP networks, and the ability to prioritize traffic into (4) priority queues. 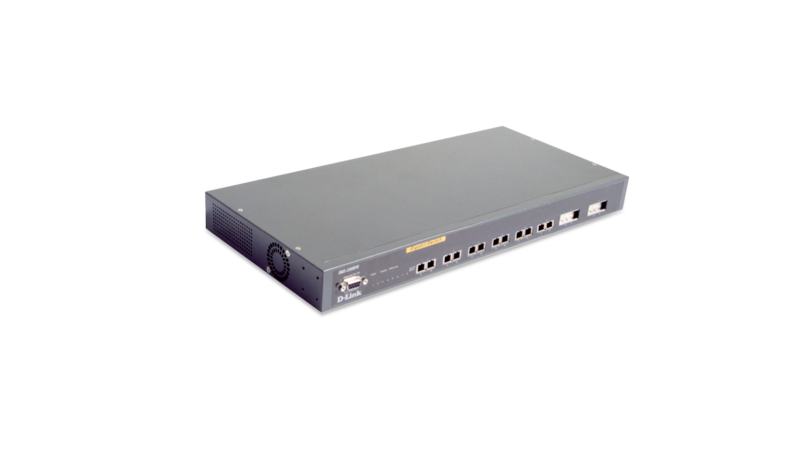 The DGS-3308FG can be used as a cost effective Gigabit wiring closet solution or a high performance backbone aggregation device. D-Link’s DGS-3308FG looks to address today’s diverse business and IT requirements through its robust support of standards based network management protocols (SNMP/RMON/BOOTP/Telnet/Web) and port mirroring. By supporting standards-based network management protocols, the DGS-3308FG can be easily integrated into most third-party network management products. The DGS-3308FG brings advanced Enterprise functions to a new level of affordability without compromising advanced features including: RIP1/2, OSPF, DVMRP, QoS/CoS, Multicast, VLANs, Port Trunking & Network Management. These features facilitate the deployment of applications across an Enterprise, including: VOIP, streaming media, and multicast content delivery (IP video, software deployment…etc). With support for Layer 2 & Layer 3 switch or routing, the DGS-3308FG can easily adapt to changes in customer media requirements without the need to perform an expensive “forklift” upgrade. By supporting GBIC modules, customers can migrate to other more advanced solutions in the future, while still protecting a portion of their original investment.